Rafael Nadal back to world no.1 for the first time after July 2011. He became world no.1 after making his way into the finals of China Open at Bejing. The finals was held between previous world no.1 Novak Djokovic and Rafael Nadal. 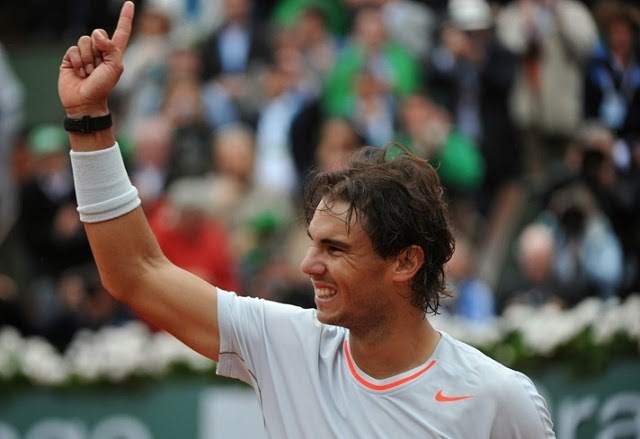 Nadal lost the finals to Djokovic but confirmed his first place in the ATP world rankings. The finals of China Open was won by Djokovic against Nadal by 6-3, 6-4. Thus Djokovic marked his fourth China Open in five times of China Open. Djokovic had been world no.1 for the past 101 weeks and now it’s the time for Nadal to mark the spot. The Spaniard Nadal, who is 27 years of age had an awesome comeback after his injury made this year a victorious year for him. Nadal had won 10 titles this year. Nadal marked his world no.1 after China Open semi-final but its confirmed after making his presence in the finals. He is now 40 points ahead of Djokovic and holds 11,160 points. The former world no.1 Rager Federer was dropped a place below and holds 7th place. This year Nadal had won US Open and French Open in his 10 titles count. Nadal won this year US Open after defeating the same Djokovic who won this China Open. It’s the fourth defeat for Nadal after his comeback. The two of the defeat was against Novak Djokovic. Djokovic said Nadal is a great opponent to face. Fans of Nadal wants him to hold the first place for long time. How was the Nadal performance throughout the year?